While taking a turn at a farmers market, I encountered sweet peas and was reminded of the best sweet pea soup I ever had in England. They had put mint in the soup and blended it well with cream. 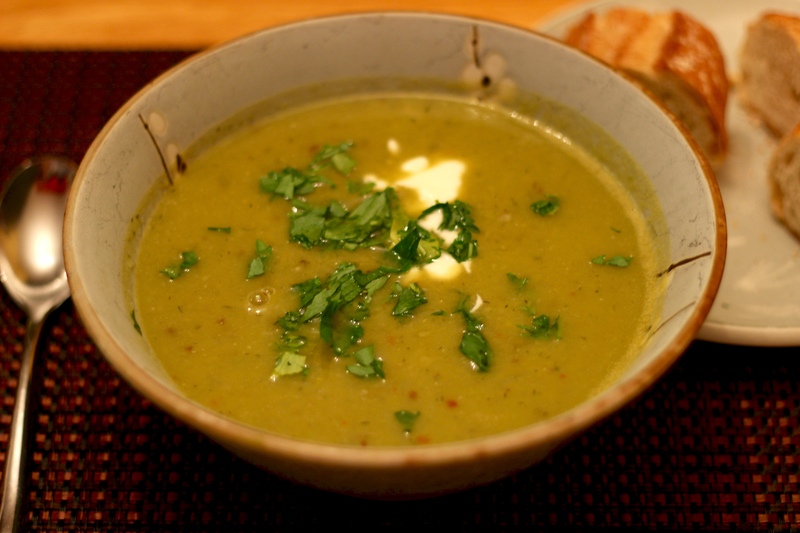 Since then I have tried my own variations until I came with this savory slightly spicy creamy green pea soup. Adding yogurt cools it and gives it a nice tangy twist. In large pot over medium-high heat, heat the oil. Add the onions. Season with salt, pepper, and crushed red pepper. Sauté for 2 minutes. 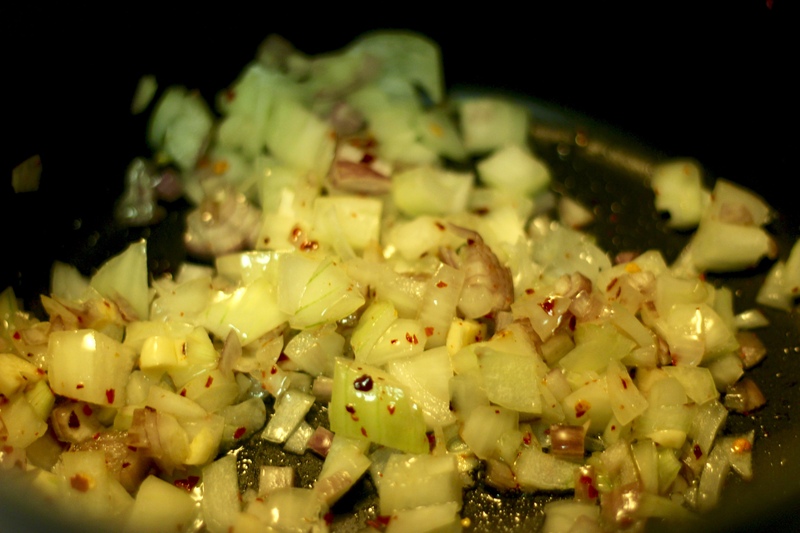 Add the garlic, shallots, and leeks. Sauté for 3 more minutes. 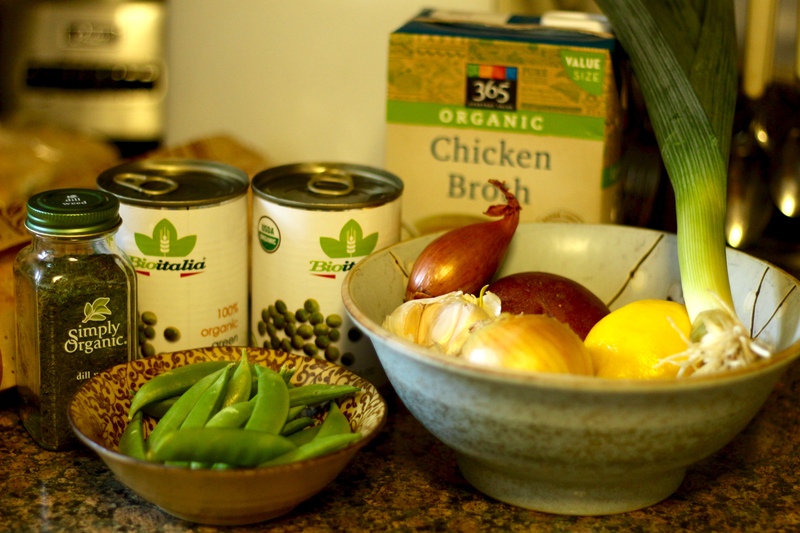 Add broth, bay leaf, lemon juice, potatoes, and peas, bring to a boil, then reduce to medium and simmer, stirring occasionally for 20 minutes or until potatoes are cooked through. 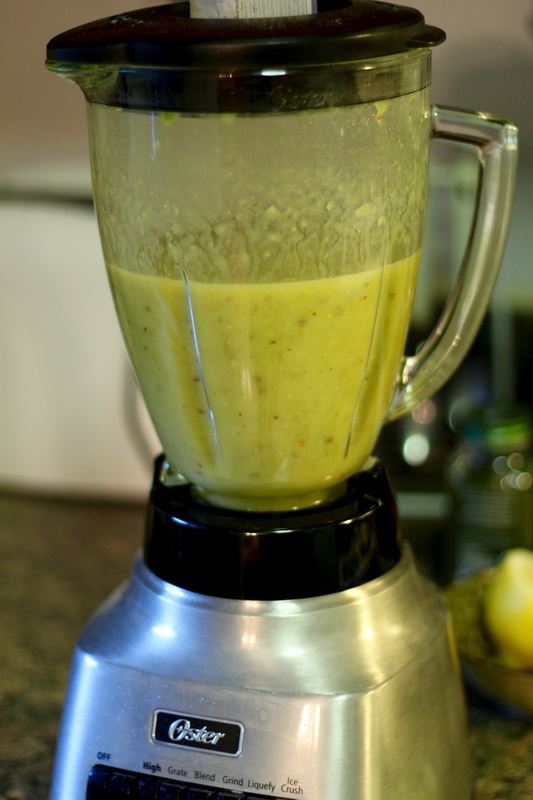 Working in 2 batches, puree soup in blender until smooth. Return to pot and add dill. Heat mixture over low heat until hot, about 3 minutes. Season to taste with salt and pepper; serve immediately. Serve with 2 tablespoons of yogurt and bread. Posted on August 19, 2015 August 19, 2015 by cheffialloPosted in BlogTagged calories, healthy food, sweet peas.